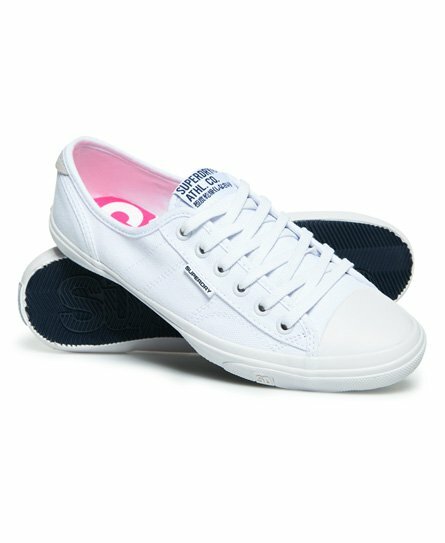 Superdry women's Low Pro sneakers. The perfect everyday trainers. Made from a light canvas material they feature lace-up fastening, a Superdry logo patch on the tongue, a logo patch on the side and a small Superdry Athletic badge on the heel. These must have trainers are completed with a Superdry logo on the sole.